The phrase “quit claim deed” is frequently used in the sphere of real estate. 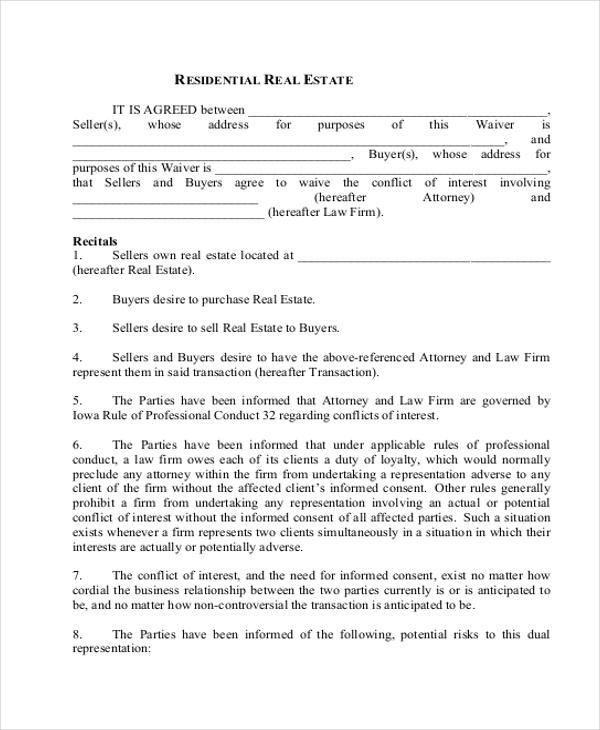 It basically refers to a legally binding document which allows for the transfer of interest between two parties in real estate. To make sure the deal goes off smoothly, you would be requiring deed forms which help you carry out the transfer. To get hold of deed forms, you could take a look at some quit claim deed form templates here. You may also see Travel Claim Forms. While going for real estate forms, it is always better to opt for blank forms that allow you to organise and arrange your data and information in any way you please. 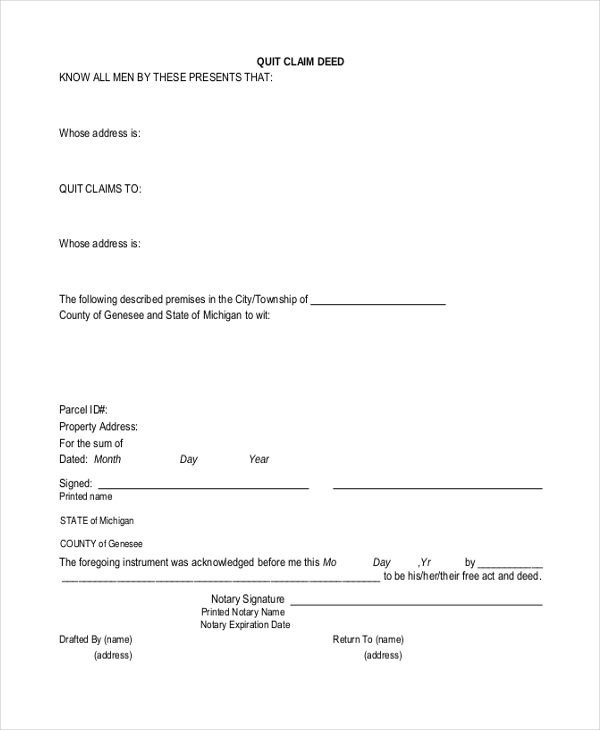 This is an example of a basic quit claim deed form. If you haven’t seen such a deal before or you’re unfamiliar with the contents, you can take a look at the pdf file that is provided here. This is one of the most supreme and useful examples of what a quit claim deed is. You can use this pdf file as the sample and model your own agreement in a similar fashion. 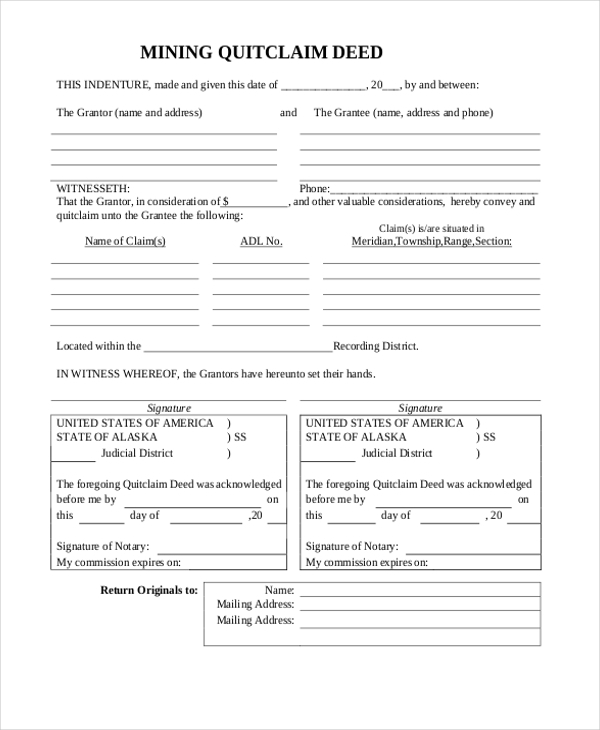 The best part about this quit claim deed form is that it is ready for print. If you feel that the form is satisfactory and contains all the details and information that you require then you can print it. 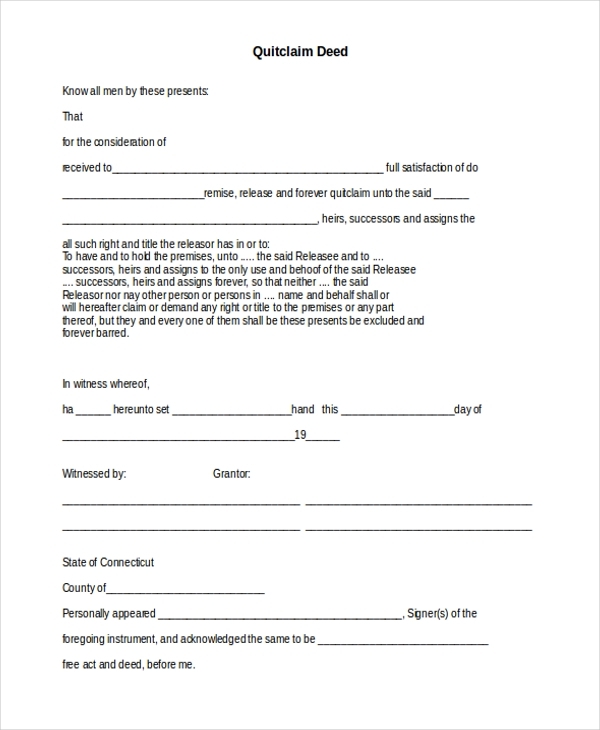 This quit claim deed form comes in a neat and organised pdf format. The details and other minute information are organised in a logical fashion throughout which makes it very easy to follow. This quit a claim deed form is a specialised form of real estate. If you’re on the verge of finalising such a deal with a broker or with a land owner, then you can use this form to do so. 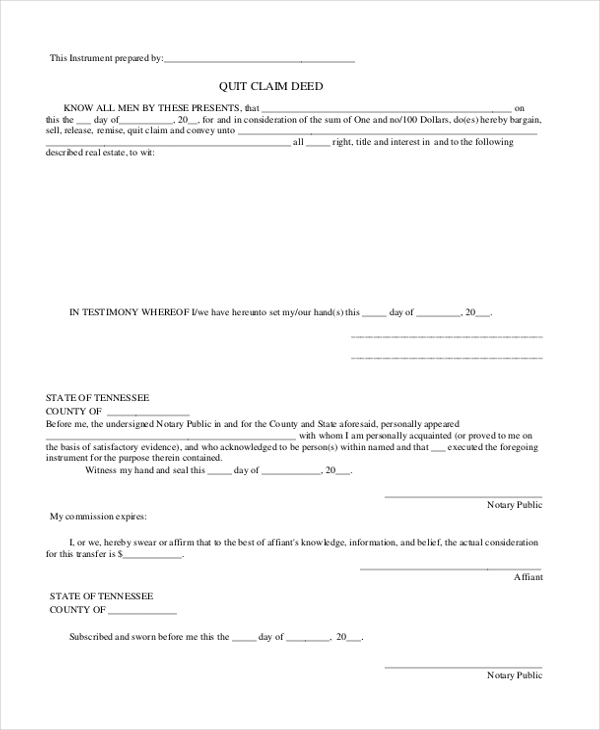 This quit claim deed form is dedicated purely to mining. To manage and transfer interests in the case of large-scale mining properties, such a pdf form may be used. This would serve as a fantastic example of what a quit claim deed is and what it looks like. You can go through the form provided here and follow its example down to the last detail. 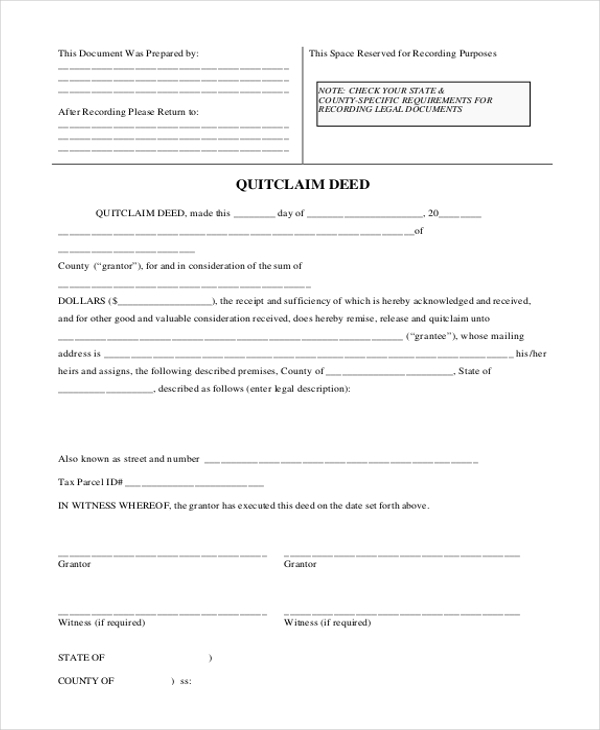 Who Can Use these Quit Claim Deed Forms? The quit claim forms are mainly aimed at those dealing in real estate. This is basically a kind of agreement between two or more parties where interest is transferred from party to the other. To pen down the terms and conditions of the agreement, either of the two parties may make use of quit claim deed forms here. They can state the terms and conditions of the agreement that were agreed upon in a neat and organised manner in the document and then seal the deal with a signature. 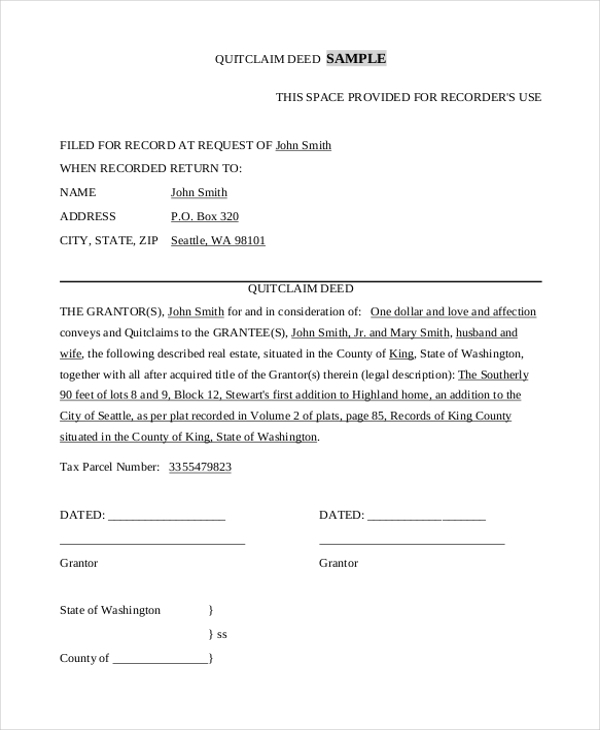 The quit claim deed form templates may thus come in handy in such situations. 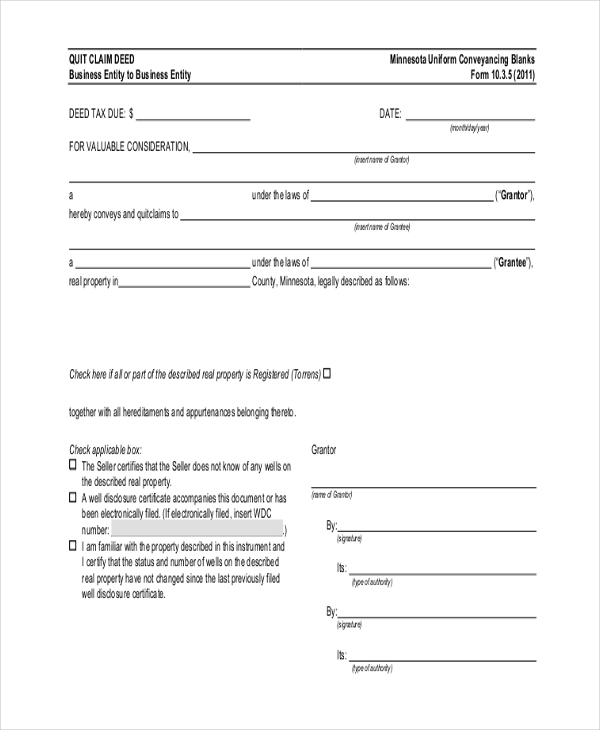 You can also see Medical Claim Forms. Quit claim deeds are highly technical forms which need to be understood and analysed carefully before you actually take the plunge. Now for that, these form templates come in handy. You can go through the pdf forms provided to you as samples and then model your agreement on them. The forms are very easy to understand. They may be highly technical in nature; yet, they have been kept formal and straightforward for everyone to understand. The files are very easy to use as well. Real estate forms, quit claim deed forms or land contract forms are galore here. You just have to state your requirements and the purpose for which you require the forms. You’ll find excellent examples of quit claim deed forms which abide by the universally accepted form and would also help you in finalising the deal. You can also see Disability Claim Forms.